Material: Aluminium Foil Latex. Number of Pcs: 11pcs. Shape Style: Round. CAKE WRAP - 90CM LONG, 5CM WIDTH, 4PCS MICKEY TOPPERS, BUNTING FLAG - 21CM HEIGHT. Type:CAKE TOPPER, BANNER, WRAP. Disney MICKEY MOUSE. Main Colour: BLUE. 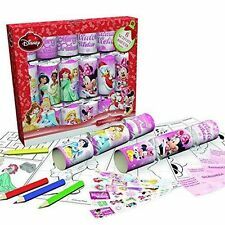 Mickey Mouse Personalised Gift Wrap. - A3 Wrapping Paper Card (420 x 297mm). - Printed on 120gsm high quality matt photo paper. MICKEY MOUSE. PARTY BAG TOYS & TABLEWEAR RANGES >>>. 40 Paper Napkins 2 ply - 33 cm x 33 cm. 3m / flag Disney Mickey Mouse Balloons Clubhouse Party Pennant Banner Bunting. 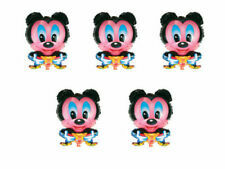 Mickey Mouse Clubhouse Paper Masks Consists Of 6 x paper masks with Mickey and Pluto characters. All orders must be paid within 48 hours. All orders must be paid for within 48 hours. Ideal tableware for any Disney Fan! With our experiences of Baby Showers, Children's Parties and Weddings, we aim to provide products to cater to your special events. About House Of Party. 1x Mickey Mouse Clubhouse Flag Banner - a 2.3m plastic flag banner. All orders must be paid within 48 hours. All orders must be paid for within 48 hours. Mickey Mouse Pinata. Everyone Loves A Party Pinata. 1 x Mickey Pinata (33x 46cm). Pull The Strings. The Perfect End Of Party Treat! 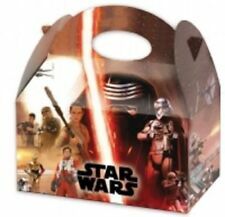 Simply Fill With Sweets, Small Toys Or A Prize Of Your Choice. You Will Receive. ---Every pack includes 6 card masks ---Features Mickey Mouse and Pluto leaning on bright blue cogs on a red patterned background ---Each mask is fitted with an elasticated strap for comfortable and secure wear ---Perfect for Mickey Mouse fans and fantastic for any children's party. Mickey mouse, Minnie mouse and friends. random designs. Cake Topper. MICKEY MOUSE. Excellent Cake Decoration Item. 2/ CAKE TOPPERS & CANDLES -A huge selection to make your cakes stand out from the crowd. Make your cakes the talk of the party season. SELF ASSEMBLY IS REQUIRED FOR THIS ITEM. RIBBON INCLUDED. WE CANNOT SEND YOUR CARDS UNTIL WE RECEIVE APPROVAL OF THE DESIGN. QUANTITY 1 IS 10 CARDS AND ENVELOPES. ADD YOUR QUANTITY IN THE QUANTITY BOX ABOVE. PLACE AN ORDER. APPROVE YOUR PROOF. The red foil exploding from within completes this Mickey Mouse Balloon Weight. Party Supplies. 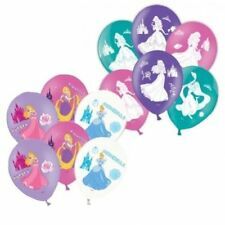 8 Helium quality balloons - 4x Red, 4x Yellow. Picture depicts Mickey Mouse Clubhouse characters. All orders must be paid within 48 hours. All orders must be paid for within 48 hours. 16 x Mickey Mouse Clubhouse 2 Ply Napkins. Mickey Mouse Clubhouse Starter Kit For 16 Consists Of 16 x Mickey Mouse Clubhouse Large 23cm Plates. All orders must be paid within 48 hours. All orders must be paid for within 48 hours. 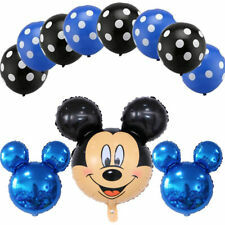 Features: ---12ft in size ---Plastic construction ---Mickey Mouse clubhouse design. Disney Mickey Mouse 12 Days Beauty Advent Calendar. Condition is New. Dispatched with Royal Mail 2nd Class.